Rev. Doyle J. Thomas, Jr. was born in Danville, VA to Rev. Dr. Doyle J. Thomas, Sr. and Mrs. Eva H. Thomas. At age 12, he sang bass in the Senior Choir at the Loyal Baptist church, where his Father Rev. Dr. Doyle J. Thomas, Sr. was the Pastor and his Mother, Mrs. Eva H. Thomas sang in the Senior Choir. As a child he attended Baptist Training Union, Vacation Bible School, Sunday School and served as an Usher at the house of the Lord. In his teen years he would sing with the Gospel Chorus, under the guidance of Mr. Harry Jones, Jr., whose music was more contemporary and which sounded and felt more like that which he played over the radio air waves. During this time he also developed his own musical skills and formed (along with Bruce, Wade, Ardith, Mac & Pete) the Variations. This band quickly became popular and was booked as the opening act for many of the Soul, and Rhythm & Blues artist that performed in the various venues of Virginia and North Carolina. There would be many other musical outlets for this young man as the years rolled by, in various genres. He traveled the Gospel circuit, and worked in studio and on stage with many of the Gospel legends of the 70’s and 80’s; Brooklyn All Stars, Dorothy Norwood, 5 Blind Boys of Mississippi, J. J. Farley and the Soul Stirrers, Pilgrim Jubilees and many others. It was while traveling with Hardie Clifton and the All Stars that he yielded himself to the call of God to the Gospel Ministry. It was in August of 1983 that this young man accepted the call he had been running from for several years; the call to preach the Gospel. He preached his initial sermon, “That Some Might Be Saved” (1 Cor. 9:19-23) on Sunday October 23, 1983 at the Loyal Baptist Church (7:00 pm). Since then, upon a call to the Pastorate of the Callands Baptist Church (Callands, Virginia), he was ordained in 1986. In February 1990, he began serving the Jeffries Cross Baptist Church (Burlington, NC). Meanwhile, in 1989, he married the former Odessa Bernice Henderson of Danville, Virginia. Mrs. Thomas is a graduate of Barber-Scotia College in Concord, North Carolina where she earned a Bachelor of Science Degree in Business Administration with special interest in education. His Daughter, Tia, is a Juris Doctorate graduate of Columbia Law School and practices law in New York. She recently (June 2008) married Robert China (his “new son”). His Son, Marcus, died in an automobile accident in 1997. 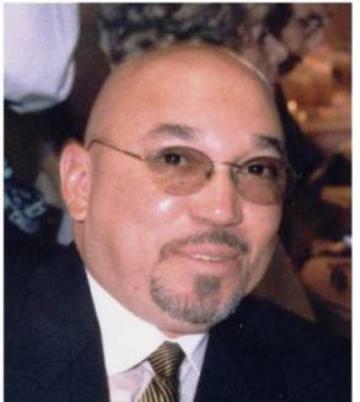 From October 1993 until June 2005, Reverend Doyle Thomas, Jr. served as the eighth Pastor of the Zion Union Baptist Church in Charlottesville, Virginia. On September 4, 2005 Pastor Thomas, after a forty day fast coupled with fellowship and focusing on the future, formally led a group of believers in Jesus Christ to formally constituting the Jerusalem Baptist Church of Charlottesville, VA. (Now legally designated Jerusalem Church, Inc.). In the past four years, God has used Pastor Thomas in mighty ways to help and shape the lives of many people who have come through the door of the places where Jerusalem Church has gathered. Pastor and First Lady Thomas stand ready to lead Jerusalem to higher heights and deeper depths In Christ Jesus. They are proud of Jerusalem and Jerusalem is proud of them. Long live the unity of the spirit between Pastor and people in this place where Peace is our substructure and oneness in Christ is our goal. His involvements and affiliations in the City, State and Nation have been numerous as well as diverse. Though he rarely talks about himself and the many accomplishments made, if you talk to him and ask him, he’s always eager to share vignettes of his life.